"I Built an App That Finally Tackles Detroit's Horrifying Water Problem"
Finally, a developer that uses their skill to do good in the world. Half a century ago, the city of Detroit was one of the largest in America. Detroit was the center of the American automobile industry in its heyday, and its economic growth during the mid-20th century was legendary. But since that booming era, Detroit’s prosperity, population, and employment opportunities have plummeted, in large part due to racial tensions and the outsourcing of jobs within the auto industry. Today, many parts of the city have fallen into disrepair and many of Detroit’s remaining citizens have found themselves left to struggle without jobs or means of escape. In less than a single lifetime, Detroit has changed from the famous Motown into what many sources have referred to as a dystopia. Detroit’s fall from grace culminated in 2013, when the governor of Michigan announced that the city was officially declaring bankruptcy. The city was a staggering $20 billion in debt, and about a third of that amount came from the Water and Sewage Department, so Detroit acted accordingly by shutting off water – an already expensive utility in poverty-stricken Detroit – in almost twenty five thousand homes that had delinquent payments. In an environment already plagued by poverty, foreclosures, and unemployment, this was a devastating development that came with very little warning. Anyone who was more than two months or $150 behind on their water bills – more than 50% of Detroit households – had 30 days to pay their bills or they’d lose water. 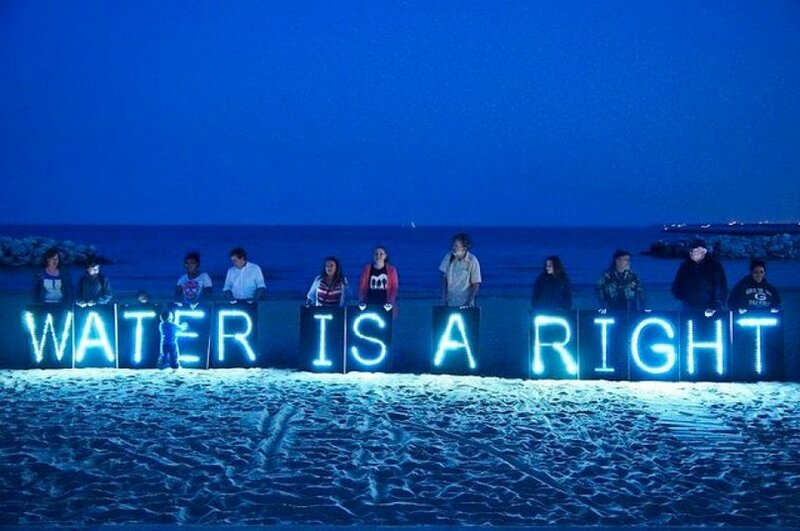 By 2014, an estimated 1 in 7 residents of Detroit had been directly affected by water shutoffs. 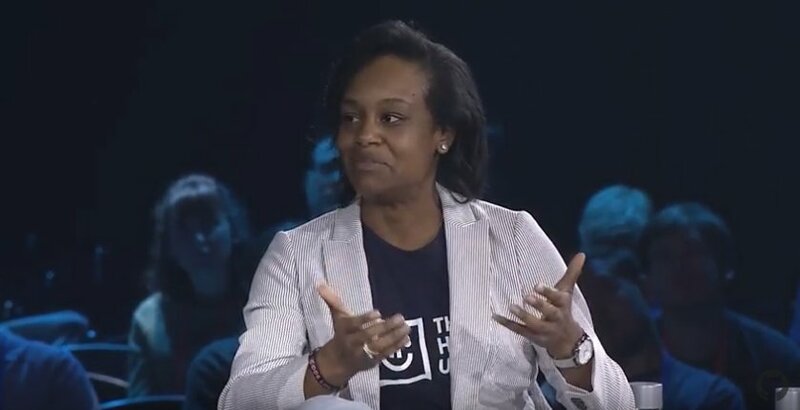 Web developer Tiffani Ashley Bell was horrified when she read about the plight of people in Detroit who were living without water. She criticized the city’s method of dealing with delinquent accounts, and reached out on Twitter to find out if there were any resources in Detroit for residents to go to for water relief, and a stranger responded, “I’d pay someone’s water bill if I could pay directly.” That stranger was Kristy Tillman, who became Bell’s co-founder when they launched The Human Utility, a platform that directly helps Detroit residents pay their water bills. Tillman is no longer with the organization, but Bell continues to work hard to make sure that people in Detroit have access to water and resources at hand for paying their bills. As they say on their website, dignity is a human right, and The Human Utility does everything in their power to help people maintain that dignity and maintain basic humane living conditions for themselves and their loved ones. At the time of the organization’s launch, and even now, efforts to provide relief for those who had their water shut off were in abundance on popular platforms, and they were indeed gaining a lot of traction, But the problem with those platforms is that the entire goal amount must often be reached before any money could be received, and there was no guarantee that all the money would go directly to the water company to help those in need. Bell knew that water was becoming a desperately needed resource in Detroit, and that the need was much more immediate than what crowdfunding could provide, so she founded an initiative that would help people much more quickly and directly than anything else out there. Bell’s project, dubbed The Detroit Water Project, directly assists people in Detroit through the help of individual donors on an online platform. Now, after several years of operation, it has been renamed The Human Utility to encompass water relief efforts in Maryland and other areas outside of Detroit, but it still does the same important work. Once residents in Detroit apply for help with The Human Utility, and their applications are assessed based on need and their debt confirmed with the water company, they are matched with donors who will pay their outstanding water bill. Usually, people in need receive direct help within a week. Families and households can receive assistance from The Human Utility once every 18 months, and The Human Utility has helped families multiple times in the past. Money poured in from donors everywhere, and The Human Utility has proudly raised hundreds of thousands of dollars and helped thousands of families to pay their delinquent water bills in Detroit. In the five years since it launched, The Human Utility has expanded to help families with water bills in Baltimore, Philadelphia, and surrounding areas, and hopes to continue expanding to assist those in need. Countless people have received relief and help when they needed it most, but Bell knows this isn’t the end of her fight. If you are interested in becoming a donor for The Human Utility, and helping someone in need, you can start by donating as little as $5. The organization takes one time donations and also has a monthly giving program that deducts money from your account each month, and they accept money from donors all over the world. You can also pledge your birthday, and use your day to fundraise money. For more information on the organization or about donating, and to read the stories of some of the people that The Human Utility has helped, visit their website. Photo Credit: Twitter, The Daily Beast, CBS Detroit, Twilio, The Human Utility.